Louella Oettinger Parsons (1884-1972) was born in Freeport, Illinois. Parsons is best known for her influential, long-running syndicated column on Hollywood personalities. She worked as a scenario writer for the Essanay Film Company and authored a 1915 book, "How to Write for the Movies," before being hired by the "Chicago Herald" to write a column on motion pictures. In 1917 she was hired as a film columnist by the "New York Morning Telegraph." When William Randolph Hearst offered Parsons a contract in 1925, she accepted. As motion picture editor for Hearst's Universal Service, Parsons wrote a syndicated column that appeared in more than 600 daily newspapers. Beginning in 1928, she hosted a weekly radio program sponsored by SunKist on which she interviewed movie stars. Charis Foundation Garment sponsored a similar program in 1931. In 1934 she signed a contract with Campbell's Soup Company to host "Hollywood Hotel," which showcased stars in scenes from their forthcoming films. Her memoirs include the best-seller "The Gay Illiterate" and "Tell It to Louella." 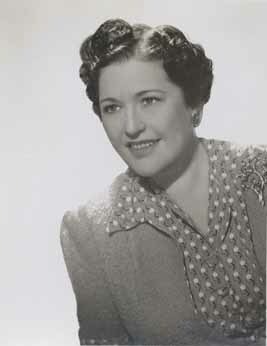 As an actress Parsons appeared in "Hollywood Hotel" (1938), "Without Reservations" (1946), and "Starlift" (1951). The Louella Parsons scrapbooks span the years 1915-1961 and encompass 18.4 linear feet. The 61 scrapbooks contain thousands of columns she wrote over six decades. There are also biographical clippings on Parsons and coverage of her various radio programs. Some of the scrapbooks are extremely fragile and access may be limited. Photocopying from the scrapbooks is not permitted due to the fragile nature of the material; however, clippings that have been removed from the scrapbooks and foldered may be photocopied. The photograph series of the Louella Parsons scrapbooks and photographs spans from the 1920s to the 1960s and encompasses 2.5 linear feet. The series consists of 870 items. The photographs are grouped into biography photographs and subject photographs. The biography photographs are arranged alphabetically by name. The majority are shots of Parsons with hundreds of well-known personalities, including Ethel Barrymore, Jack Benny, Edgar Bergen, Milton Berle, Irving Berlin, Eddie Cantor, Maurice Chevalier, Nat "King" Cole, Bebe Daniels, Marion Davies, Marlene Dietrich, Walt Disney, Irene Dunne, Errol Flynn, John Ford, Samuel Goldwyn, Cary Grant, Rita Hayworth, Hedda Hopper, Gene Kelly, Louis B. Mayer, Johnny Mercer, Paul Newman, Mary Pickford, Tyrone Power, Ronald Reagan, Ginger Rogers, Norma Shearer, Barbara Stanwyck, James Stewart, Jack L. Warner, and Darryl F. Zanuck. The balance of the biography photographs consist of portraits of Parsons (1920s-1960s) and her various awards, testimonials, and honorary degrees. The subject photographs depict Parsons's radio broadcasts, trips, residence, and a birthday party during the 1950s. Gift of Harriet Parsons, 1966, with additions from Evelyn Farney, 1983.